[prMac.com] Dallas, Texas - MacPlay today announced that Colossal Order's classic hit title, Cities in Motion Collection, is now available for the first time on Apple's Mac App Store. To celebrate the release, Cites in Motion Collection is available during the month of June for 50% off the regular price. Cities in Motion Collection includes the Cities in Motion and all DLC and cities in one amazing grand collection! 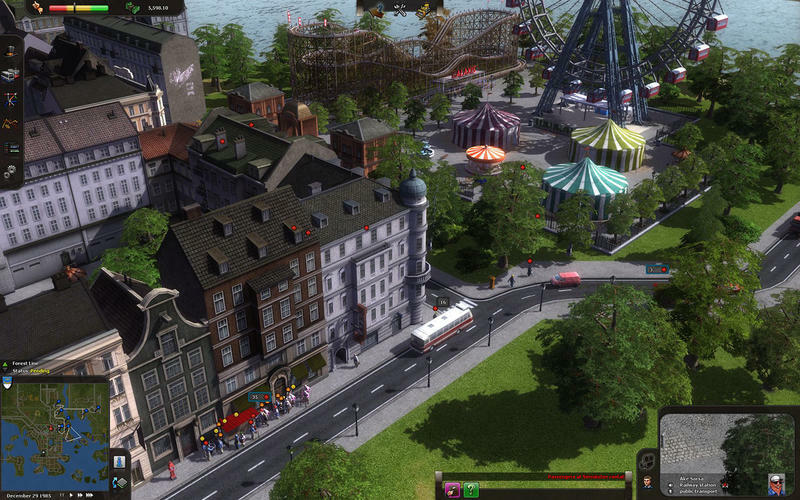 Cities in Motion is a city-based mass transportation simulator. Players operate their own transportation company, building a public network with a variety of vehicle types, including buses, trams, and subway trains. By meeting the needs of city residents, the player tries to make as much profit as possible. Observing the changing and growing city, as well as the different types of people in it, is key to building a successful and efficient network. Cities In Motion Collection 1.0.0 is available immediately through the Mac App Store for $24.99 USD, a savings of 50% off the regular price of $49.99. MacPlay's 3.0 mission is to provide publishers and developers an exciting and profitable way of distributing their games on the Mac App Store and other platforms. All Material and Software (C) Copyright 2015 MacPlay. All Rights Reserved. Apple, the Apple logo, iPhone, iPod and iPad are registered trademarks of Apple Inc. in the U.S. and/or other countries. Other trademarks and registered trademarks may be the property of their respective owners.